Whether you are looking for an individual H370-2 communal mailbox or a 200+ unit mail bank, Post Boxes UK should be your first choice. Providing postal solutions for properties big and small, we offer a fully integrated service that includes everything from the initial design drawings through to delivery and on-site installation. Contact us to discuss your project. 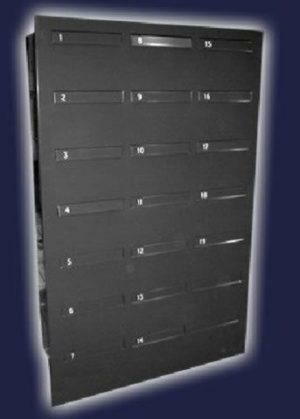 The H370-2 student accommodation mailbox can be installed in a variety of different ways, with wall-mounting, wall-recessing, and standalone options available. The H370-2 horizontal letter box is fully customisable with over 200 RAL colours. Post Boxes UK also offers a range of high-spec finishes including premium metallic powder finishes, satin stainless steel, and matt black velvet. Upon request, we can provide Class 0 flame retardant paints to ensure you comply with BS476, Building Control and Fire Regulations. 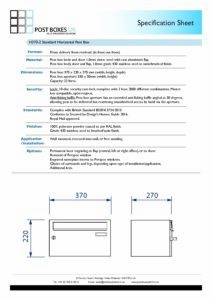 Order the H370-2 mail box today and we will endeavour to deliver your custom designed letter box bank within 4 weeks. Lead-times vary depending on the size and specification of each project, details of which will be provided upon acceptance of your order. Manufactured in 1mm electro-galvanised steel or stainless steel, the H370-2 post box is robust, resilient, and weather-resistant. This makes it suitable for internal and external applications alike. 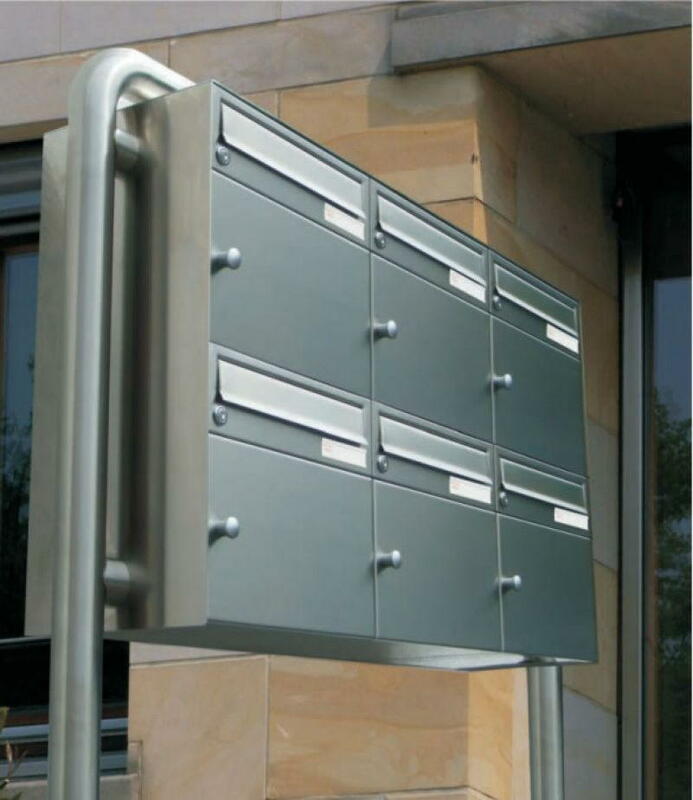 Post Boxes UK offers a number of stylish finishing surrounds for the H370-2 multiple occupancy post box. Trim options, cladding, and picture frame style finishes are available to complement all installations and give your letterbox bank a more uniformed look. The freestanding H370-2 post bank comes with a choice of support leg options including pedestal legs that provide support from underneath the letterbox, side support legs for standalone units, and a combination of the two for wider banks. To conform with EN13724, your bank of mailboxes should not exceed 1800mm in height. Choose the Post Boxes UK customisation service to personalise the H370-2 mailbox. With both engraving and laser etching options available, we can add apartment numbers, identification codes, and nameplate inserts upon request. This particular letter box offers numerous branding areas, please contact us for further details. To satisfy the requirements of most mixed-use mailboxes, the H370-2 is fitted with a Eurolock Cam Lock as standard. Post Boxes UK offers additional security solutions, including 500 / 2000 / 10000 differ cam locks, master keyed suites (UMK), and Salto compatible locks. For further information and advice on the right locking mechanism for your letterbox, please contact us. Multiple keys are essential for student accommodations, property developers and management companies. Post Boxes UK offers replacement and spare keys for all H370-2 Secured by Design post boxes, along with a range of replacement locking systems. Discounts available for bulk orders. 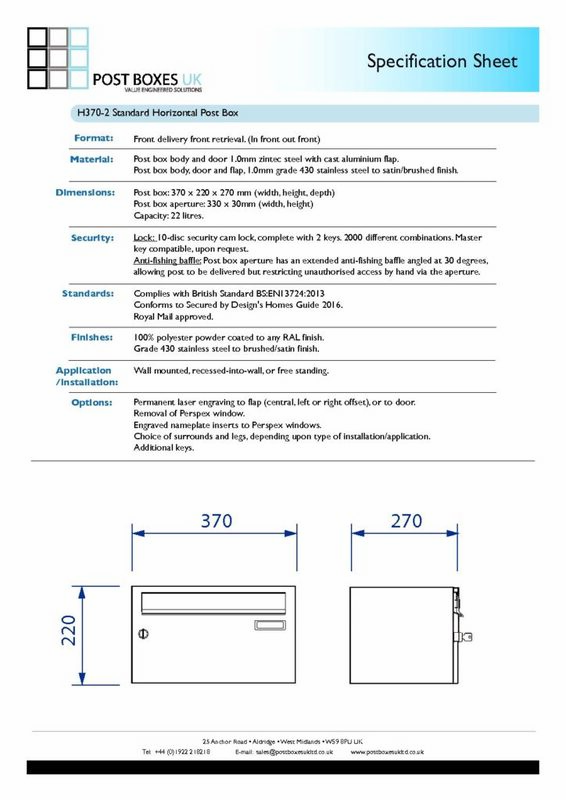 To ensure that it conforms to EN13724 and the Homes Guide 2016 Secured by Design initiative, the H370-2 horizontal letterbox is equipped with an anti-fishing device to reduce the risk of mail theft. Well-suited to communal reception areas, in multi-use apartment buildings, and mixed-use office blocks, the H370-2 letter box is large enough to accommodate large volumes of mail without taking up valuable floor space. Its modular design allows it to be banked with ease, and its enhanced weather-resistance allows it to be used indoors and out.